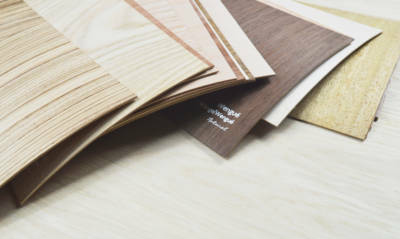 Decorative authentic wood veneers specifically manufactured to be applied to any substrate. Flexi Veneer denotes a group of real wood, jointed veneers that are pressed onto a paper to assist with gluing. The veneer is then sanded with grit 120/150 to create a smooth face. Using glue, the veneer can be manually pressed onto a wide variety of substrates; from flat panels & table tops, to curved structures & rounded cylinders. Any species can be supplied as flexi veneer in sizes up to 3050mm x 1240mm within short lead times. Please refer to the manufacturers’ guidelines prior to use (see Useful Information below).